On this subject, there are already many fine articles. I have borrowed from at least a dozen to understand what should happen and to make it work. You will find them listed under resources. And I knew I had seen something like that before. And tried to work around it. Use an email provider that did not use SSL based communication for example. However, this time I decided to bite the bullet. And get this settled, once and for all. Now that I have it running, it does not feel like such a big deal anymore. But I do remember my frustrations of yesterday. So here are the steps, for your convenience and my own future pleasure alike. The background by the way is that when I set up GMail as the Outgoing Mail Server, I configured an SMTP server (smtp.gmail.com) that uses SSL for its (trusted) communications. The JVM is perfectly willing to conduct such communications for us – as long as it knows that we actually trust the party we are doing SSL with. We have to tell the JVM that it is okay to have such communications. And we do that by loading the public key of a SSL certificate in the JVM’s trust store. Note that the exact same thing is required for SSL interactions with other providers, such as Twitter and Dropbox – all using SSL as well. 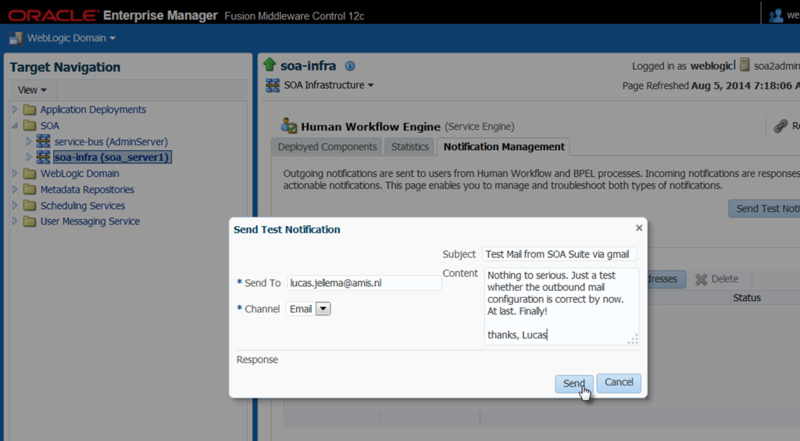 When we want to interact from our SOA Suite domain with these parties we too have to follow the steps in this article. Note: the steps are described for Linux but should be almost identical on Windows and other operating systems. 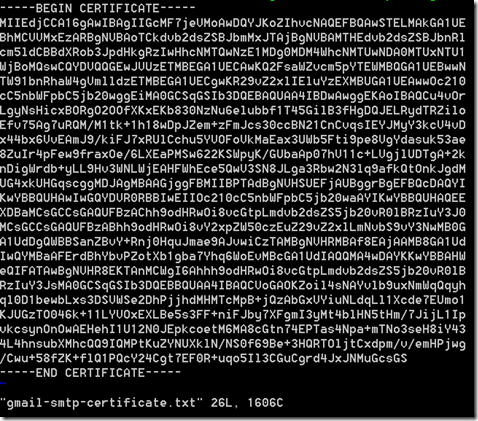 Using the OpenSSL tool, we can retrieve the certificate from the server that we want to have our JVM interact with later on. 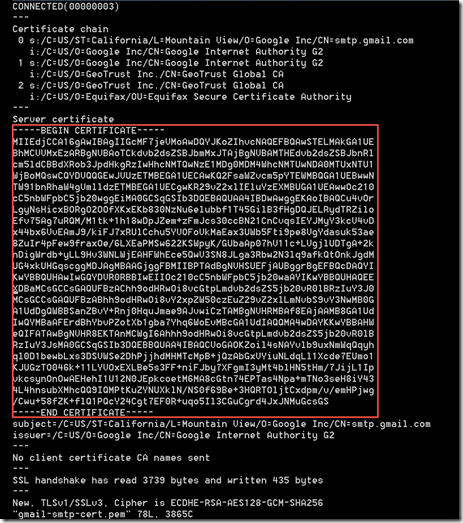 For GMail – and more specifically GMail’s SMTP server for outbound email, we use this command to save its SSL certificate to the file called gmail-smtp-cert.pem. You can choose any name for the local file – as long as you remember it until the next step. The extension .pem is typically used because openssl creates the file in the PEM format. 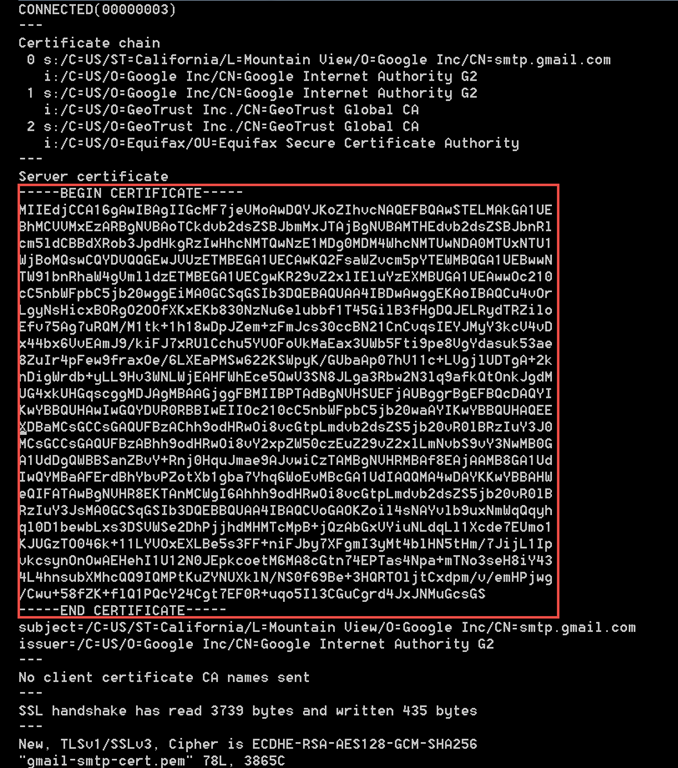 The file gmail-smtp-cert.pem should be created now. Note: this openssl action can take a long time or not even finish at all. You can end it after a few seconds (CTRL+C for example) because the important part is done very quickly and right at the beginning. This step can easily go wrong if you do not read carefully. Took me considerable time – not going to tell you how long exactly. 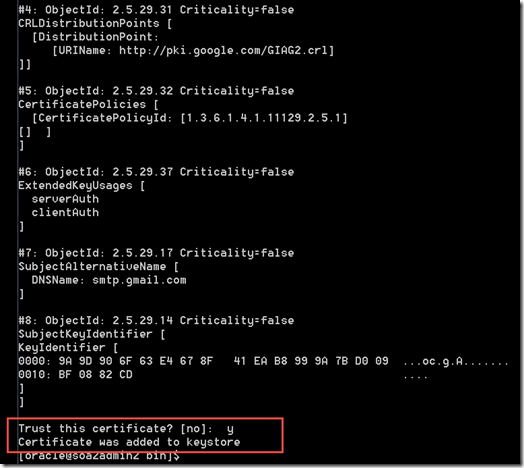 Open the file you retrieved with OpenSSL – gmail-smtp-cert.pem in my case – in an editor (such as vi). Remove all the lines before the line that says —–BEGIN CERTIFICATE—– – but leave this line itself! Also remove all lines after the line with —–END CERTIFICATE—– but again, leave this line itself. 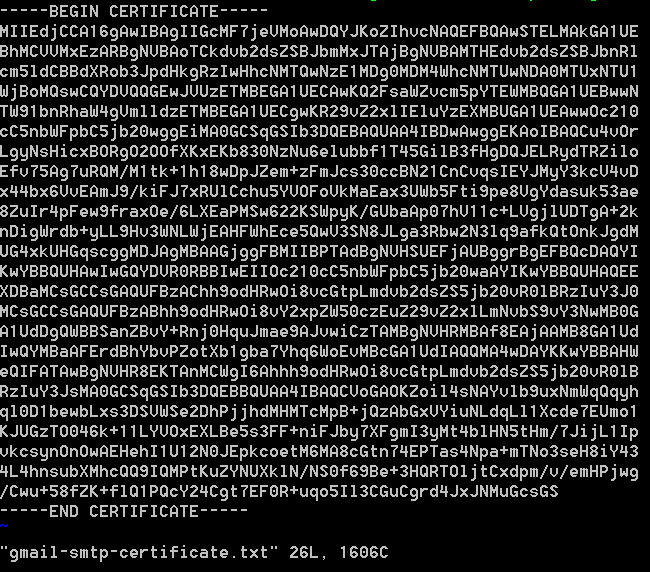 Save the resulting file, for example as gmail-smtp-certificate.txt (but you can pick any name you like). 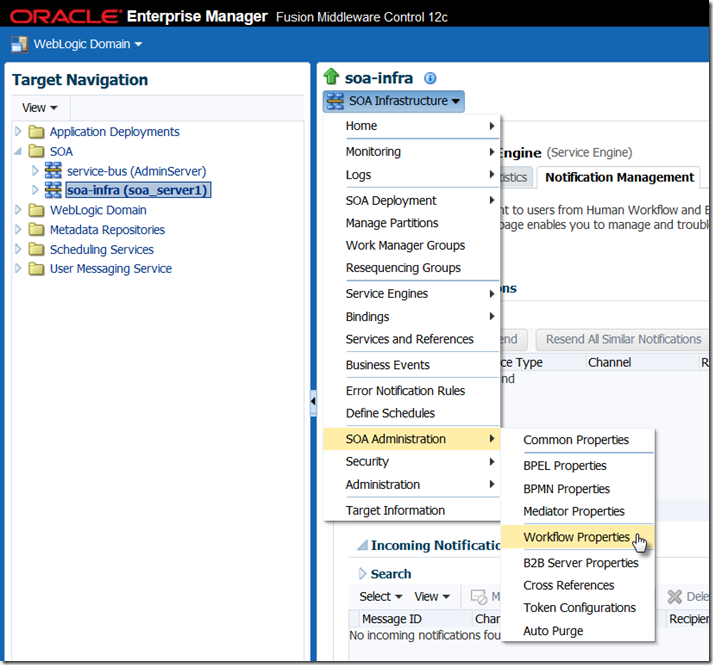 WebLogic (on which SOA Suite is running) out of the default installation uses a special keystore. It does not use the cacerts store that is installed with the JDK or JRE but instead uses a file called DemoTrust.jks and typically located at %WL_HOME/server/lib/DemoTrust.jks. 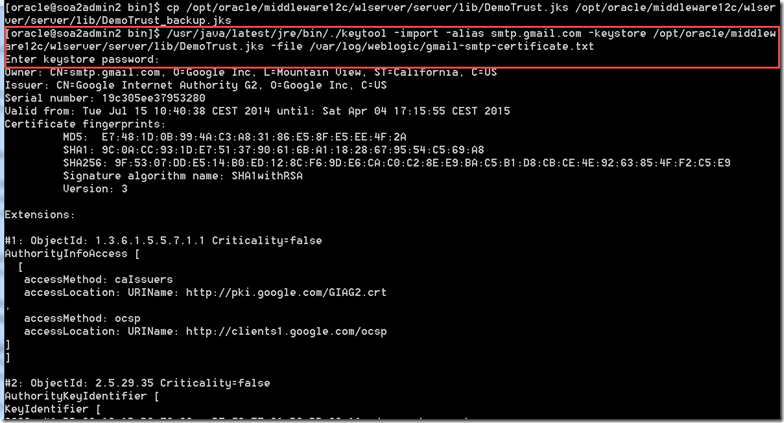 This trust store is “injected” into the JVM when the WebLogic domain is started: “-Djavax.net.ssl.trustStore=/opt/oracle/middleware12c/wlserver/server/lib/DemoTrust.jks”. 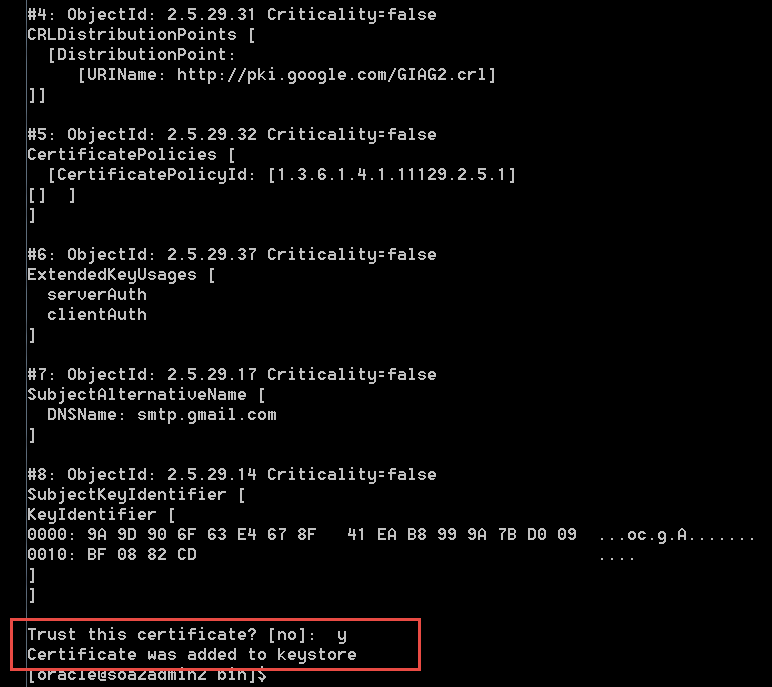 We have the option of removing this start up parameter: remove “-Djavax.net.ssl.trustStore=%WL_HOME%\server\lib\DemoTrust.jks” in setDomainEnv.cmd and then add the certificates to the default Java keystore (cacerts) or, the easier option, we can add the certificate to the DemoTrust keystore that WebLogic uses. 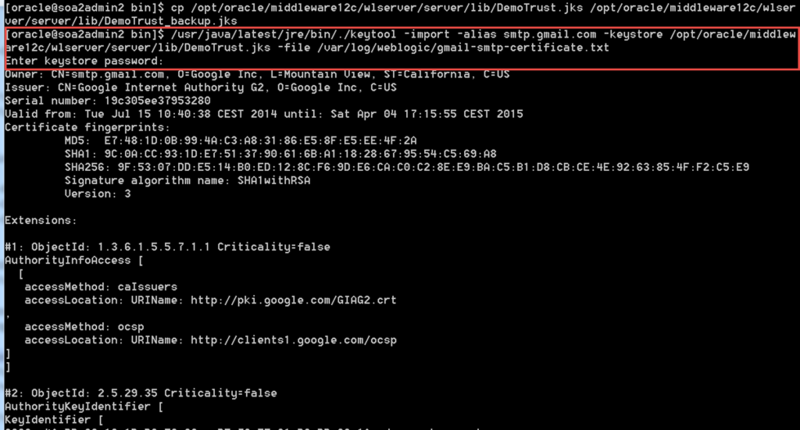 Because the DemoTrust keystore is owned by OS user oracle, I can/have to execute this command as that user. You will be prompted for the password for this keystore. The default password of the DemoTrust keystore is: DemoTrustKeyStorePassPhrase. The change in the keystore is (probably?) 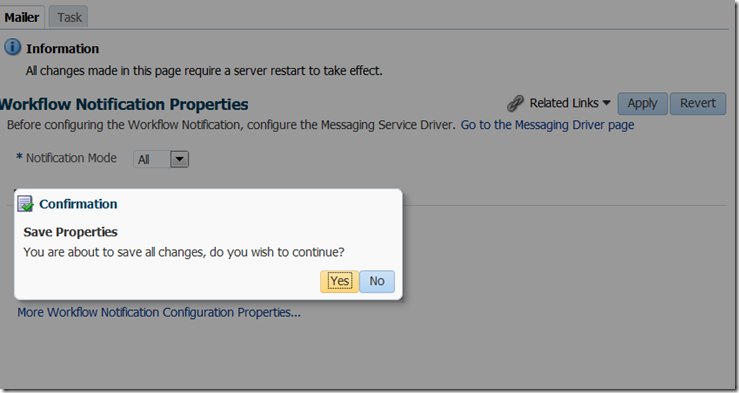 only picked up by the JVM after it is restarted. 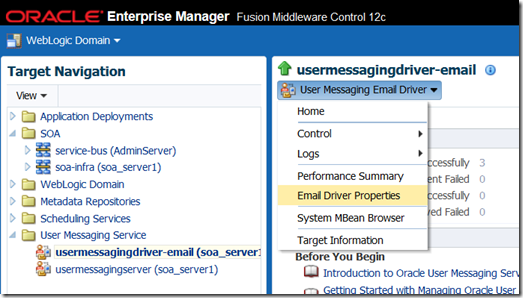 So if your WLS domain is running, bring it down and start it up again. Now send that email again. It should work. 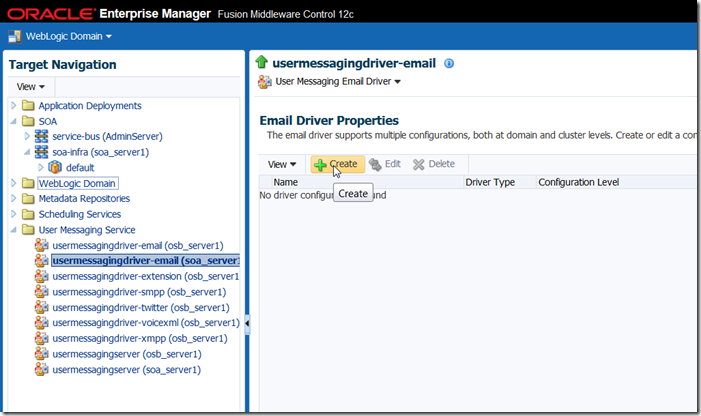 Scroll down a little to set the properties for the SMTP server. 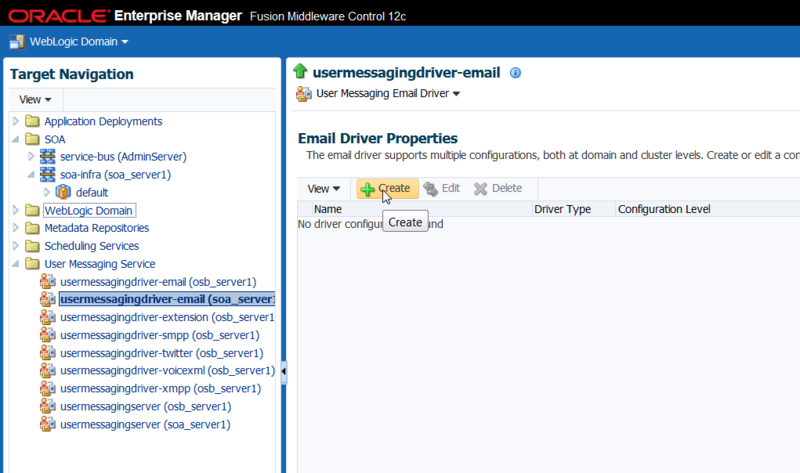 Set the outgoing mail server to smtp.gmail.com. The outgoing mail server port is 465, the mail server security should be set to SSL. The outgoing username – used by UMS to connect to GMail – should be set to your full email address at GMail. Either set your Google password as a cleartext password or use indirect password to have the password stored in the credential store mapped, see for example here). 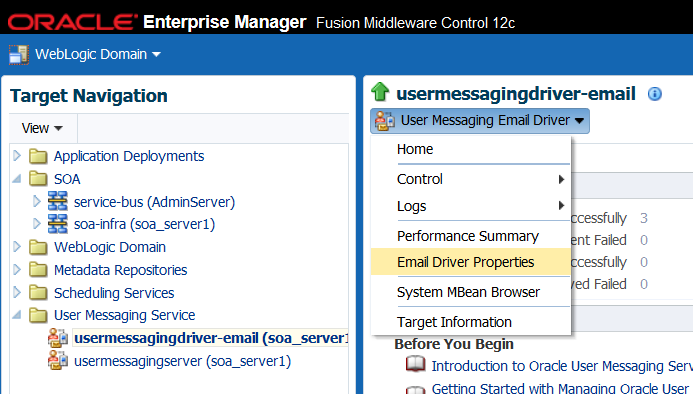 Click the OK button to save the email driver configuration’s properties and be returned to the overview page. 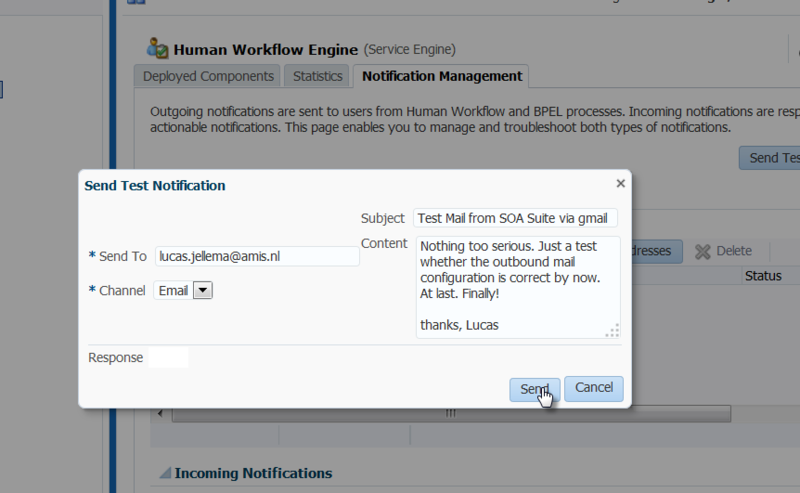 The Human Workflow Engine page appears. Open the tab Notification Management. 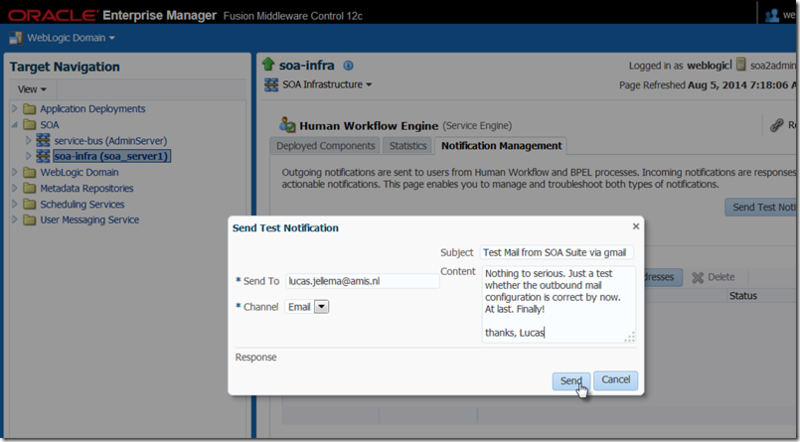 Click on the button Send Test Notification. In the page that appears next, set the Notification Mode to All or at least to Email. Press Apply to make the change last. 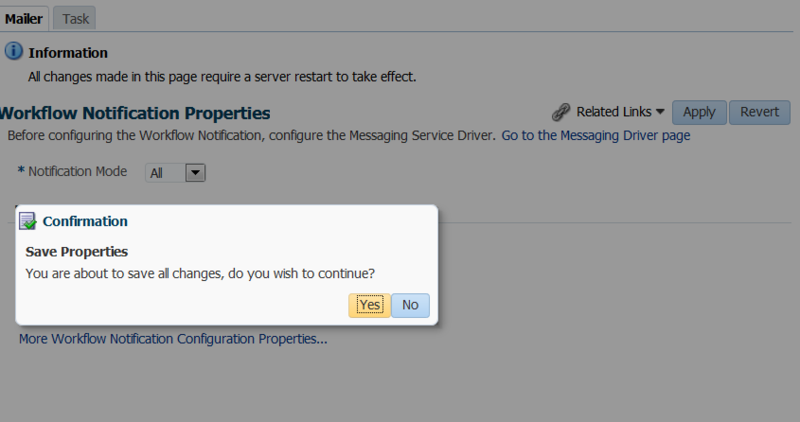 After making this change, I return to the page to send my test notification again. Unfortunately, the minor setback is still there. 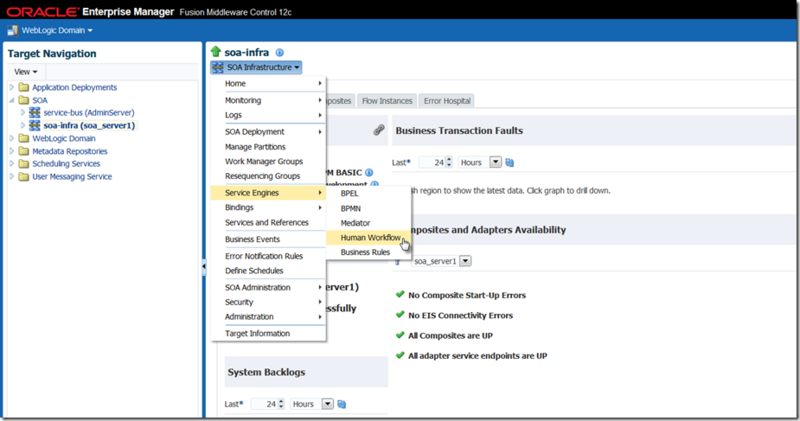 Perhaps a restart of the managed server for SOA Suite is required? I sincerely would hope not, but let’s try it anyways. Could you help me? 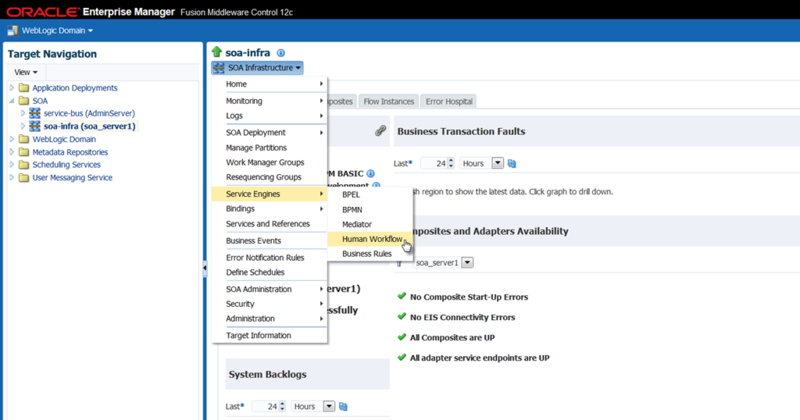 I’m using Weblogic 12.2.1.2.0. Hi Lucas, this is really great article. 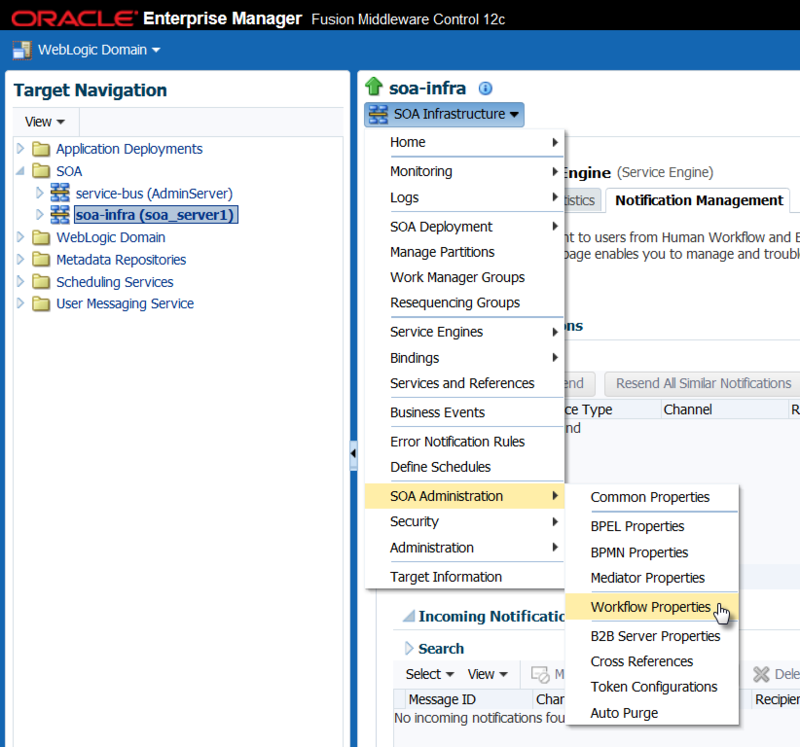 I followed the same for SOA 12c but when I test it am getting following error. Can you please help.